Coffee mugs aren’t just a vessel for holding our coffee and delivering it to our lips. It’s also says something about a person’s style and personality. It’s also a little thing that can make an impact on a person’s daily life. If you don’t believe me, then ask someone who’s bought a poorly designed or cheaply made mug and see if it made their day better or worse. Finding the best mug for coffee isn’t always easy, however. There seems like there are a lot of inferior products on the market nowadays. And that’s why we’ve decided to do some research and find the best mugs that are currently available. Java mugs that will help keep your coffee’s temperature stable, are durable and look good, too. Just sitting in your cabinet, this product appears to be like just any other black mug. However, that begins to change when hot coffee or other liquids are added to it. Once this is done, the cup will then begin to turn white and to reveal the picture of a zombie with its bloody hands pressed up to the sides of the cup. This makes it a great gift for any zombie or Walking Dead fan. And since this ceramic mug holds 11-ounces of coffee, it’s big enough for that morning cup of coffee or to hold the coffee you need at the office. While most mugs come in either an 8-ounce or an11-ounce size, these mugs are designed to hold up to 16-ounces of coffee, hot cocoa or milk. They are made from a high-quality ceramic that’s not only safe to use in a microwave but is also safe enough to be used in a dishwasher. The mugs in this 6-pack set can be bought in a variety of different color schemes as well. There are sets which feature an all-white design, sets which have a black exterior and interiors in different colors, cups that are white inside and come in different exterior colors, and finally, mugs with white interiors and with colorful exteriors which feature polka dots. All a coffee drinker has to do is choose a set that suits their style. Coffee drinkers who want a large cup that’s a little bit on the whimsical side may want to take a look at these Homee Animal Mugs. They are 100% handmade and handpainted, so each one is slightly different from the others. They have a generous 12.5-ounce capacity and have a 3D design that’s very tactile. While this handle may be smaller than what most people are used to when it comes to mug handles, it does give the various animal designs an amazing look. These mugs come in a variety of different animal designs. Some of the animal designs which can be bought include octopus, giraffe, dolphin, and deer. This 6-pack of 12-ounce coffee mugs are ideal for anyone looking for a great cup set for their home. These diner-style mugs are made of porcelain and are not only BPA-free but also lead-free as well. They can also be washed in a dishwasher or used in a microwave without any ill effects. They have a classic white design with a colorful trim that makes them elegant enough to be used in just about any household. All of these features make these cups not only suitable for holding your morning cup of coffee but also makes it suitable for holding soup, cereal, hot cocoa, and milk, too. This cream-colored 10-ounce mug is designed to be like the coffee mugs that can often be found in American diners. Although it should be said that this particular mug isn’t as heavy as those early diner mugs. It’s made from a high-quality ceramic that makes it durable and suitable for use in both a microwave and a dishwasher. 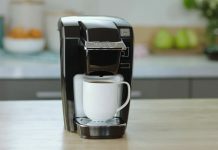 It’s designed to not stain the way that some cheaper coffee mugs do and to provide the coffee drinker with many years of service. Although this product is made in China, it’s made using lead-free materials. Taking all of its features into consideration, this mug is a great addition to anyone’s home cupboard or for use at work. Manufactured from high-quality commercial-grade ceramic and capable of holding 11-ounces of your favorite beverage, this cup can be used easily at home or at work. It features a 3mm raised bottom and an easy-to-grip C-handle that’s the right size to accommodate most coffee drinkers fingers. This product is also dishwasher and microwave safe and can be used for coffee, soup, tea or hot cocoa. And it’s designed without a distracting image or a saying that may offend co-workers. These single coffee cups can be bought in one of a number of different colors including black, white, brown, pink, purple, red, green and yellow. This thermochromatic mug is emblazoned with the Star Wars logo and features 13 lightsabers which encircle the cup. When hot liquids are added to the cup, then the lightsabers begin to appear from the hilts, thereby giving the impression that they are being activated. When the cup cools back down, the lightsabers return to their original condition. Some of the lightsabers found in this cup’s designs include favorites used by Darth Vader, Yoda, Luke Skywalker and more. Although it’s not designed to be used in a microwave or a dishwasher, it can be hand-washed and should give the user plenty of use. This 14-ounce insulated mug is available in a number of exciting powder-coated colors including black, aqua, coral, fuschia, midnight blue, purple and more. It’s made from a lightweight 18/8 stainless-steel that’s lead-free and is double walled and vacuum insulated. These features, along with the thermal copper lining, allows this mug to keep hot drinks hot or cold drinks cold for long periods of time. It also has a wide mouth design with a rubber gasket and a BPA-free plastic lid that helps to keep the contents either hot or cold and allows it to be used like a travel mug. Designed for people who consider themselves the best grandma ever or to be given as a gift to someone who fits that description, this 13-ounce glass mug is sure to bring the user a lot of joy. Imprinted with the Best Grandma Ever design on both sides, this product is ideal to be given as a Christmas or Birthday gift. This product is made from high-quality glass that’s safe for both hot and cold beverages and can be washed easily in a dishwasher. It’s a mug that’s sure to provide that special grandmother in your life with a nice toasty feeling—if not from the sentiment then at least from the coffee that’s put in it. Manufactured using high-quality bone-China ceramics, this product is designed to hold up to daily use. It’s both microwave and dishwasher safe and can be used for both hot or cold beverages. It has a nice 14-ounce capacity and measures 4-inches tall by 3.5-inches in diameter. This product is designed with materials that allow it to also meet all FDA requirement for food safety. These mugs are designed with some of the most famous paintings by the world’s most famous artists. Coffee drinkers can choose from Van Gogh’s Starry Night, Emile Bernard’s Black Wheat, Claude Monet’s At the Port of Argenteuil or one of the other exciting art cups available. When most people look at their coffee mug, all they really see is a container for holding their coffee. People either buy mugs with whimsical sayings on them or simply buy the ones that are simply the cheapest. People really don’t put any more thought into the subject beyond those few considerations. That’s because mugs can have a significant impact on your daily routine. It might seem inconceivable that the simple coffee cup can have an impact on a person’s daily life, but it’s true. 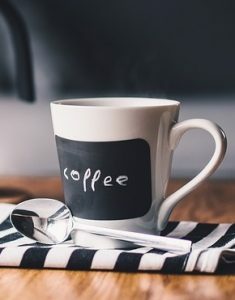 A cafe mug can determine how your coffee tastes and can be a significant factor in how well your coffee stays at proper drinking temperature. With that in mind, let’s take a few moments to talk about some of the ways coffee mugs can improve our lives. Below are some reasons for using a reusable coffee mug instead of a disposable one. Environmentally Friendly – According to the Environmental Protection Agency, almost 30-billion Styrofoam cups are tossed into landfills each year. That’s a lot of cups, especially when you consider that these cups take hundreds of years to break down. And it contains chemicals which can leak into the environment as it breaks down. The environmental impact of using a disposable coffee cup is worsened by the fact that the plastic cup and the paper sleeve is also thrown into the landfill, thereby adding even more waste to the environment. A Healthier Cup Choice – Carcinogenic chemicals can also leak from Styrofoam cups when hot liquids are poured into them. Sure, you can switch to a paper cup for coffee, but that has health concerns as well. Paper cups have a coating that keeps them water-resistant and which partially melts when hot liquids are poured into them. This can release chemicals such as melamine into the coffee for the coffee drinker to consume. Ceramic and stainless coffee mugs, on the other hand, don’t have these concerns. Better Tasting Coffee – Ceramic and food-grade stainless steel are non-reactive materials that don’t impact the taste of your coffee. That’s just a fancy way of saying that they don’t impart their own flavor to the coffee. This allows the coffee to speak for itself. They Keep Coffee Warmer – Ceramic mugs often do a better job at keeping coffee warmer than other materials such as Styrofoam or paper. This preserves the “life” of the coffee and allows it to stay drinkable for longer periods of time. After all, nothing is worse than trying to drink cold coffee while you’re trying to get your job done. An Inexpensive Choice – Another reason to brew your own coffee and use your own mug is that it’s cheaper than buying coffee from a coffee shop. It’s that simple. Factor how much you pay for your coffee mug and how much it costs you to make each cup of coffee. Once you’ve done that, you’ll realize that you’re throwing money away visiting coffee shops. 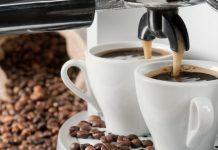 Now that we’ve covered some of the reasons for making your own coffee at home and using a reusable coffee mug, it’s time to turn our attention to something that isn’t given much consideration when people are buying a coffee mug. That’s whether the color of the mug impacts how we taste our coffee. And allow me to give you a little bit of a spoiler, the color absolutely impacts coffee taste and perception. 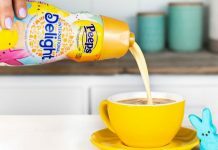 In an Australian study done back in 2014, researchers found that the color of your coffee can alter the way that it tastes. Coffee drinkers who drank coffee from a white mug felt that the coffee was less sweet and more bitter than coffee drinkers who drank from a clear mug. Other studies have shown that other colors impacted the drinkers coffee experience in other ways. Coffee drinkers who drank out of red mugs tend to report their coffee tastes sweeter than if they drank out of a blue mug, for instance. If someone gives you a coffee mug as a birthday or Father’s Day gift, or you choose a mug with a design that tells the world about your personality, then the cup can have a positive effect on your coffee drinking. Since you associate positive feelings with the design depicted on the mug, it will help to make your morning cup of coffee something that will soothe and center you. Do you need a Mother’s Day, Boss Day or birthday gift? Well, let a mug tell the gift recipient how you feel about them. Or buy them a coffee mug featuring a favorite pet, quote or design. Mugs come in all kinds of different colors, designs, and shapes, so it’s only natural for someone to give them as a unique gift. If you give a mug as a gift, then the recipient can think about you everytime they have a sip of coffee. How Often Should a Coffee Mug be Cleaned? Hopefully, the above points have convinced you to migrate away from Styrofoam and paper cups and buy yourself a reusable coffee mug. But there is one last thing we want to cover before you go. We wanted to answer an old question: How often should I wash my coffee mug? The best answer to that question is to clean it daily. However, we understand that isn’t always possible when you are using a coffee mug at the office, so the easy answer is to clean it as often as you can. Just be sure that you use a clean sponge because if you don’t, then you can introduce some nasty bacteria to your coffee mug. Throwing a coffee cup into a dishwasher is a great way to disinfect it, but if you’re at the office, then that’s not possible. So use a sponge that’s clean and has been disinfected. How do you disinfect the sponge? Well, soaking it in bleach water would be best but if you can’t do that, then throw the sponge into the microwave for 60-seconds. This will cause the water in the sponge to turn into steam, and this steam will sanitize your sponge. And a clean sponge makes for a happy coffee cup.